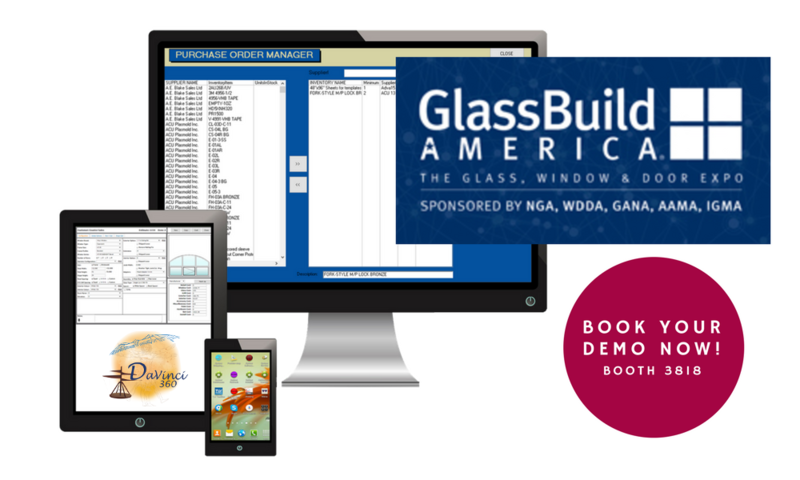 The DaVinci 360 software system is being released by Opticut Technology Inc. at GlassBuild America in booth 3818. This dramatically superior system will get you more sales by attracting more and better dealers to want to carry your products. You will also greatly improve your efficiency in operations and make much more money. More sales and more profit. It is surprisingly easy to pay for. Opticut Technology Inc. has served the window and door industry from Kingston, Ontario, Canada since 1995. We have engineered innovative machinery to optimize many operations in window manufacturing and won the Crystal Award In 2008 at Glass Build America. We deeply understand window manufacturing. The founder, John Ferreira, started out manufacturing windows and when he kept seeing opportunities to improve operations he struck out with his own engineering company. Yesterday we made machines. Today we make machines and now we also make software. Really good software that can get you more customers and make you more money. Come and see us in Atlanta, Booth 3818 and book your DEMO today! VP of Sales @Opticut – Promotor of DaVinci 360, “start to finish” software solution for the door & window manufacturer. Experienced business developer in the manufacturing sector, Bill has had his own manufacturing company and has a unique understanding of this industry and the tools & systems needed to increase efficiency and profit.